The Council fathers didn’t get into all the specifics of the reform of the liturgy. They left most of that to a future commission under the pope. The fathers approved a major paradigm shift — from liturgy as Carolingian clerical drama to liturgy as act of all the people — and then left open what the implications of that shift would be. No doubt some or many of the fathers didn’t yet have in mind all the possible implications of the paradigm shift. Nor did they need to. It’s time to say it: the so-called “hermeneutic of continuity” proposed by Benedict XVI in 2005 has outlived its usefulness as a tool for understanding the Second Vatican Council. Its proponents, who frequently carry the proposal further than Benedict ever did, have shown in abundance that the proposal obscures rather than clarifies the paradigm shifts clearly called for by the Council. For liturgy, the paradigm shift is from Carolingian clericalized sacred drama to an act of the entire community. Just let the full weight of that shift sink in, including all the possible implications for liturgical practice. There is a reason why the Fathers of Vatican II decided that the 1962 missal would not remain in use in its unreformed state. This “hermeneutic of continuity” was and is, in fact, one of Pope Benedict XVI’s great contributions to the Church, and to the healing of so many rifts. Indeed, we might note that the hermeneutic of continuity is already present as a matter of principle in John XXIII’s opening speech, when he states that the Council is based on a serene acceptance of all that has come before, in all the Councils (mentioning Trent and Vatican I by name), and aims to share the riches of the Catholic Faith with the modern world. If this Johannine-Benedictine claim is true, it undermines the progressive modus operandi, which introduces a deep rift between preconciliar and postconciliar Catholicism. Were it false, however, it would undermine the Council itself, because there cannot be a valid Council that seeks to separate itself from the inheritance of nineteen centuries of Catholicism, including all of its ecumenical councils and its liturgical tradition. But leaving aside the abrasive nuisance of truth for a moment, let us look at Fr. Ruff’s mention of the Carolingians. The Carolingians are so useful as a conceptual reference point that even if they had not existed we would have had to invent them. The simple fact is that we know so little about the liturgy of the pre-Carolingian period that liturgists can attribute almost anything they want, i.e., anything they personally dislike, to the Carolingians, as an excuse to say that it is not “primitive,” and must therefore be expunged. References to the Carolingians and the supposed “purer” worship of their predecessors is to be taken with a Malta-sized grain of salt. Moreover, if “clericalism” is supposed to be the problem, the Novus Ordo is a thousand times more clericalist than the old Mass could ever be. “Participation” in the new liturgy is effectively defined by lay usurpation of historically clerical roles, such as reading the Scriptures, and giving out Communion. The clerical nature of these roles is underlined by the fact that is still illicit for a layman to read the Gospel and for the celebrant to not distribute Communion. Lay participation in good music, in meditation and prayer, have been effectively obliterated by a noisy showmanship which is encouraged and well-nigh universal. 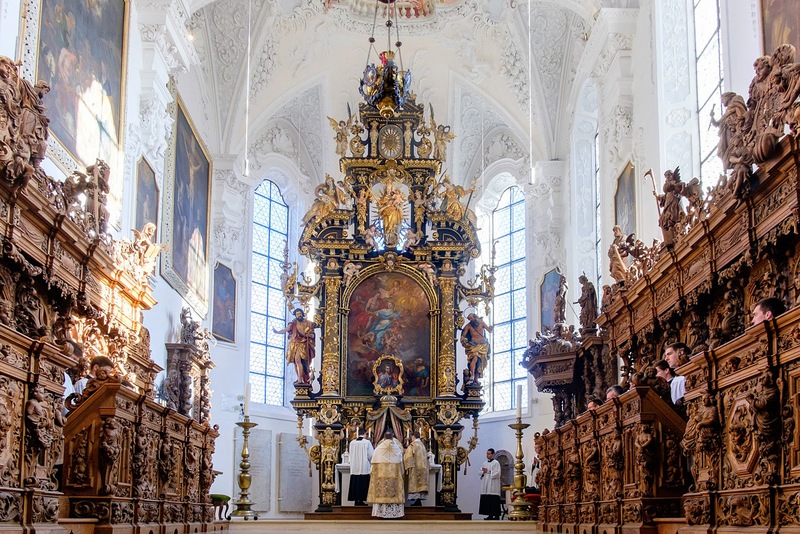 It is often said that the old liturgy is characterized by courtliness or court etiquette, that it is mixed up with (and corrupted by) expressions of Baroque secular politics. For partisans of this view, the traditional Mass — think especially the Pontifical Mass — is an elaborate show of deference towards a prince or king, indebted more to secular high culture than to sacred precedent, and detracts from the humility, simplicity, authenticity, and immediacy of the presence of Christ in the community, the brotherhood gathered around the table. Sounds plausible, does it not? But there are some nagging counterindications that deserve the attention of honest inquirers. The very fabric of the church suggests the presence of God, and the adornment of the altar carries out the same idea. In principle it is very like the splendour and ceremonial of the king’s court. It is impossible for men to have royalty amongst them, and yet not have some external sign by which the king is pointed out and honoured. The ceremonial has, of course, differed widely at different times, but from the earliest king that ever ruled amongst men down to our own time, there has always been a royal display of some kind. It is impossible, in the same way, for men to believe that our Lord is amongst them and not to lavish on Him their most precious treasures, just as it was impossible for St. Mary Magdalen not to pour out her precious ointment on His feet (Jn 12:3). We cannot dismiss this language or imagery, pervasive in Scripture and the Patristic period, as a mere epiphenomenon of ancient near Eastern courts and kings, a superficial mood-setting backdrop quickly or easily left behind by “emancipated” minds. For the same reality, and therefore the same conceptual world, extends throughout the Byzantine emperors who reigned for over a thousand years after Constantine the Great; it embraces medieval courts, Renaissance courts, Baroque courts, and the professedly Catholic governments that existed well into the twentieth century. Monarchy or princedom, the oldest and arguably the most natural form of political organization, has been a far more consistent part of the human experience and of the formation of Christian culture than the democratic/egalitarian ideology of “self-evident truths” of which we have persuaded ourselves in modernity. 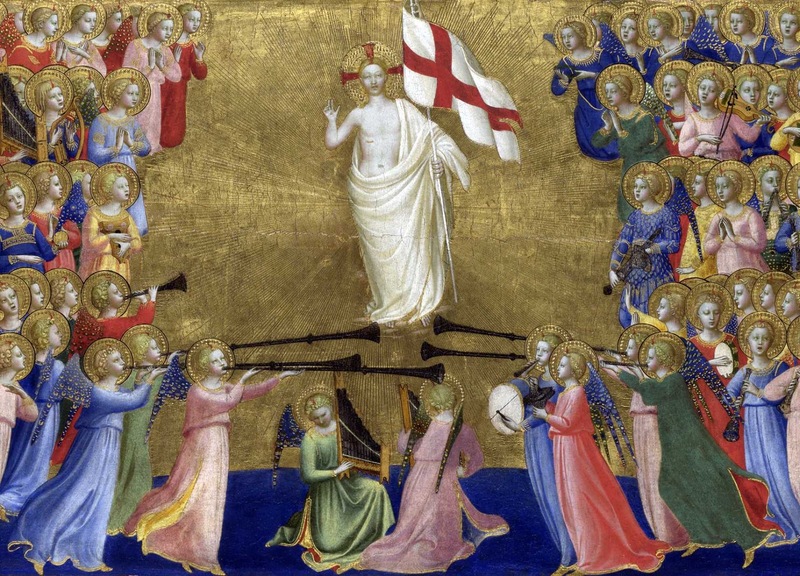 Regardless of whether we think democracy can be made to work or not, in the realm of supernatural mysteries, Christianity is purely and entirely monarchical. Against the backdrop of the Old Testament revelation of God as the (one and only) great King over all the earth, and of the people of Israel as a kingly, priestly people ruled by prophets, judges, and ultimately the Davidic dynasty, we profess that Christ is our King, the Lord of heaven and earth, of all times, past, present, and to come, of this world and of the next; that His angels and saints are His royal court; that He deigns to call us His friends and brethren, yes, but such that we know that we never cease to be His servants. We long for His courts and tabernacles. The thick “politicism” of the imagery points to the real, sovereign polity of the Mystical Body, subsisting in the Roman Catholic Church as a societas perfecta and altogether perfected in the heavenly Jerusalem, the city of the great King. Our ecclesial sacrifice, the Most Holy Eucharist, is a kingly and high-priestly oblation. Consequently, the modern fixation on democracy, as if it were the best or the only good form of government, not only does not abolish our need for the language of kingship and courtliness, but makes it far more needed than ever before, in order to impress on our minds the way things really stand in the definitive reality of the kingdom of God. All of our democratic and egalitarian experiments will fall away at the end of time, as the glorious reign of Christ the King is revealed to all the nations, and those who have submitted to His gentle yoke will be raised to eternal life in glorified flesh while those who have rejected Him will wail and gnash their teeth, condemned to eternal fire in unending torment. The liturgy should reflect the truth of God — His absolute monarchy, His paternal rule, His hierarchical court in the unspeakable splendor of the heavenly Jerusalem — and not the passing truths of our modern provisional political organizations, or, in other words, that continual redesign of the liturgy, in language and ceremonies and ministers, for which the noveltymongers are agitating. In short, to conduct the liturgy so that it appears to be less courtly, less regal, less splendid, less hieratic, is to make it appear to be that which it is not — to make it less truthful, less heavenly, less real. In this way it deceives the People of God, who are led further away from an encounter with the God whom no hands have fashioned, no mind fathomed. 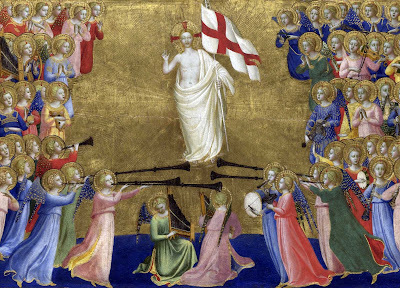 It is one of many ironies of our time that, in the new regime inaugurated by the “spirit of Vatican II,” the only “courtiers” are those who prance about in their vernacular theater in the round, turning a sublime sacrifice into a sorry spectacle from which the angels avert their gaze. If the way the liturgy is conducted allows people to think that the Mass is about them; that they are its primary protagonists; that the priests are somewhat like hired public servants who administer, in the name of the community, the business which actually belongs to it, such a liturgy is inculcating a pernicious lie. The liturgy is not “of the people, by the people, and for the people.” It is the saving act of Christ, done by Him first and always, and by the ordained ministers who act in His name and by His authority; it is done for the glorification of God and only for that reason does it sanctify the people. 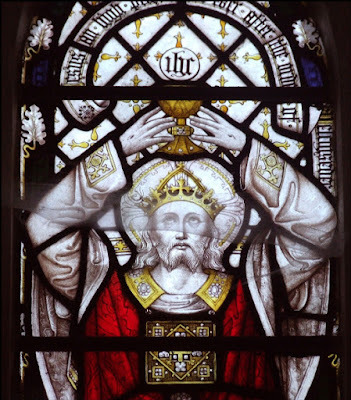 One can say the liturgy is for us in the same way that one can say we ought to love ourselves, namely, by loving God first and foremost, with the sacrificial offering of ourselves in mind and body, which is how we truly love ourselves. One of the greatest blessings of the traditional Latin liturgy, therefore, is its pure, open, unembarrassed representation of the court of the great King of all the earth, in all of its prayers, rubrics, and ceremonies, and in the magnificent art forms that emerged from its “courtliness” and reinforce the “drama” of the holy mysteries of our redemption. We find in it an uncompromised and unapologetic expression of the divine monarchy as it radiates through the panoply of sacred symbols and the ecclesiastical hierarchy endowed with fatherly potency. We are wrapped in an atmosphere of spiritual aristocracy, namely, the world of the saints, who reign with Christ as his vicegerents. After all, this liturgy was not produced by a committee of experts, as laws and bills are manufactured in contemporary parliaments or congresses, but emerged slowly over time from innumerable currents of doctrine and devotion espoused by an elite of pious souls and assimilated by God-fearing laity. The traditional liturgy, in short, challenges everything modern man has come to take for granted, everything he has persuaded himself to believe “self-evident.” It throws down the gauntlet to our modern assumptions, routines, and expectations. It is an enormous challenge to our collective social hubris and cultural pride. This is why it is hated and feared by those who embrace modernity as a primary value, giving value to all else; this is why it is passionately loved by those who recognize in it a call to a higher, deeper, and better way of thinking, loving, and living. Ratzinger saw all this very clearly. In his seminal essay “The Ecclesiology of Lumen Gentium,” he noted that the phrase “the People of God” quickly gave rise to a fundamental and dangerous misconception of the nature of the Church. He saw, too, the liturgical implications of this politicized (Marxist or democratic) ecclesiology; see especially “The Image of the World and of Human Beings in the Liturgy and Its Expression in Church Music,” in A New Song for the Lord, trans. Martha M. Matesich (New York: Crossroad, 1997), 111–27; also in Collected Works, vol. XI, Theology of the Liturgy (San Francisco: Ignatius Press, 2014), 443–60.